ARIA Hall of Fame inductee, #1 selling artist, King of Pop, Australian Icon! … a few phrases commonly used when describing Aussie legend Russell Morris. In recent years Russell has created and released three albums of blues and roots music that pertain to some of the iconic characters, events and moments in our rich tapestry of Australian history. The first album released was Sharkmouth, which went on to be the highest selling Australian album of 2013, picking up an ARIA Award for best Blues and Roots, reaching number 1 in the charts and surpassing Platinum sales. A very unexpected but welcomed success. 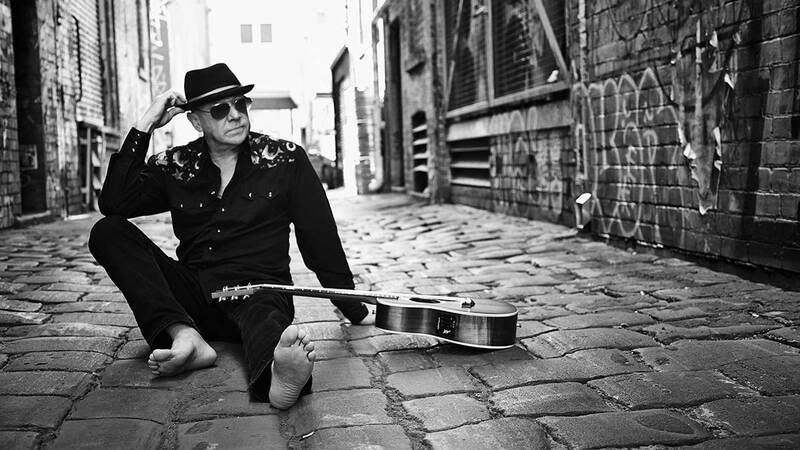 The following album, Van Diemen’s Land, was nominated for Best Blues and Roots at the 2014 ARIA Awards, won best Australian Blues Album 2015, and was the highest charting album of Russell’s 50 year career to date debuting at No.4 on the overall ARIA Charts. The third Album in this Blues Trilogy Red Dirt – Red Heart was awarded the 2016 ARIA Award for Best Blues & Roots Album. Russell Morris first shot to fame in the middle 60’s with ‘Somebody’s Image’. He had a string of hits including ‘Hush’ and the Bob Dylan classic ‘Baby Blue’. In 1969 he and producer Molly Meldrum released ‘The Real Thing’, Australia’s only true psychedelic #1 hit and a song that is played regularly on commercial radio to this day. Following that, Russell penned breakthrough hits such as – ‘Sweet Sweet Love’, ‘Wings of an Eagle’, ‘Rachel’, ‘Part 3 Into Paper Walls’, ‘The Girl That I Love’ and many, many more. In 2017 Russell Morris was awarded the Order of Australia for Services to the Arts & Music.